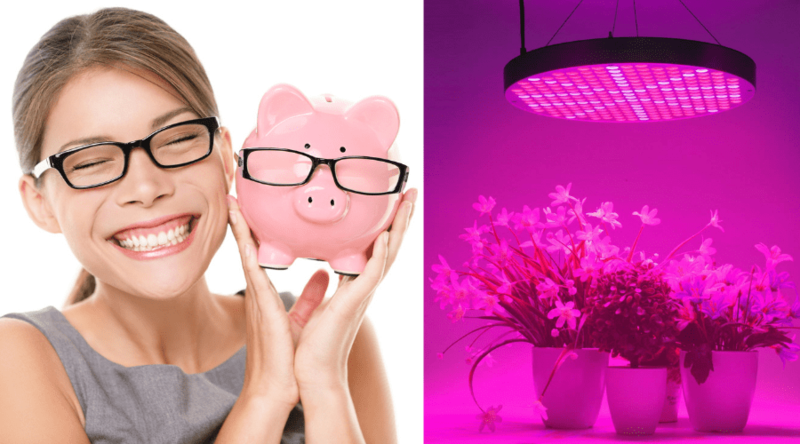 You don’t have to be financially well-off to enjoy the benefits of a grow light. Whether you are looking to support a winter garden, anticipating year-round produce, or have a cash crop, there is a light out there for you to take advantage of. The many varieties of grow lights available to choose from, depending on what needs you and your plants have, cover a wide range of brands and styles. 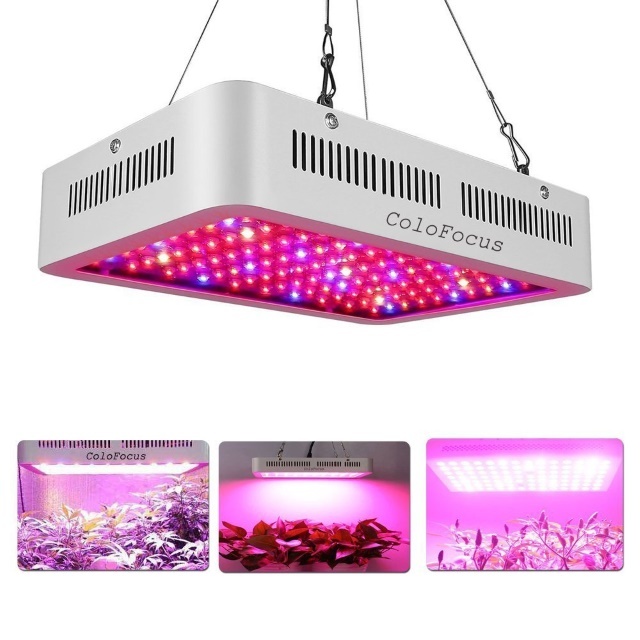 The important thing to remember, if on a budget, is to do your research and read up on the many cheap grow light reviews you come across. You want to find a quality match low in cost, not low in construction or materials, that will last you for the time you need it. 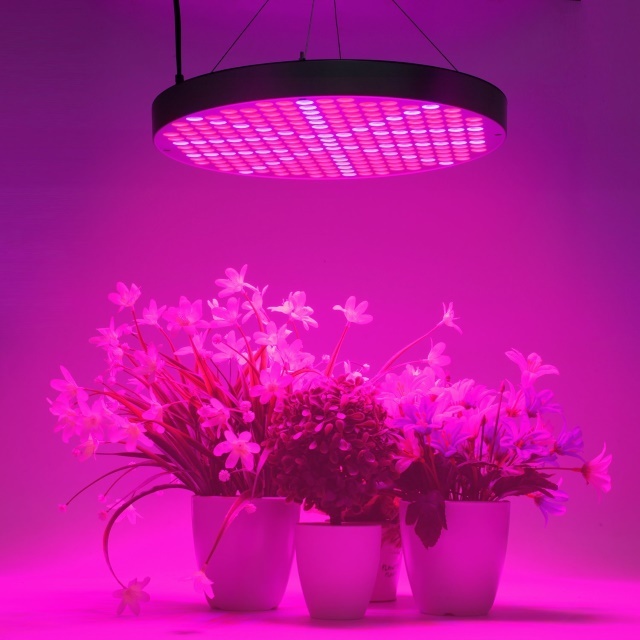 By mimicking the spectral light wavelengths that plants utilize in their growth and production, grow lights are able to provide specific temperatures and energy to vegetation. Almost exclusively used indoors, these are simple solutions to add a light source to existing grows through darker winter months. Or, to start seedlings prior to the warmth of spring and ensure a healthy start to an outdoor garden. 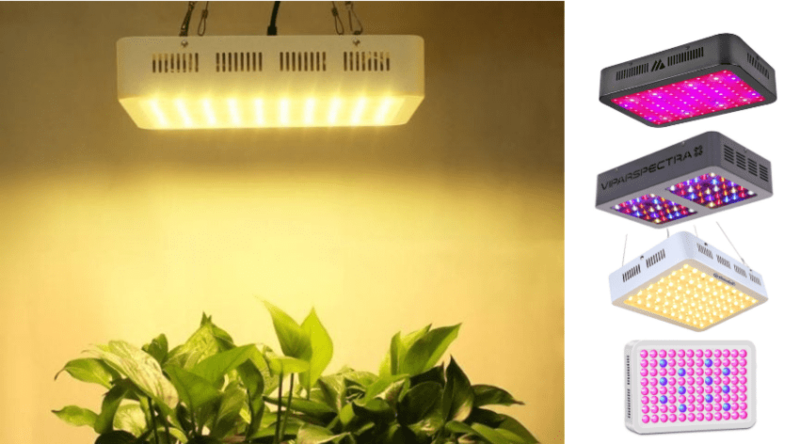 No matter what you are considering a grow light for, they are more than popular with garden and plant enthusiasts of all experience, these are well worth (cheap) investments. As mentioned, grow lights influence plant growth by providing specific spectral wavelengths. This light provides energy to the plant which supports the chemical process of photosynthesis. Photosynthesis converts the light energy into energy the plant uses to grow, mature, and produce. Without light, plants will struggle for nutrients and many will look poorly and may not produce at all. If you plan on growing anything without the correct natural sunlight it needs, then you should consider a grow light. The light spectrum is defined by the temperature wavelength emitted by the colors (both visible and non-visible) provided by sunlight. Plants prefer certain ranges of wavelengths in various stages of growth. With grow lights, you will be able to provide the specific lighting needs for your plants, just be aware of these needs and bulb capabilities. Early growth and maturity prefers warmer, short wavelengths of light. These are found in the more blue end of the spectrum. Bloom and plant production needs cooler, long wavelengths found in the red end of the spectrum. These differences in light preferences help define the sunlight that is most utilized by plants through the day. With grow lights, you can control what light your plant receives through proper grow light usage. In order to best support the stages of growth described above, you need to pick and choose the types of lights that provide the spectral light your plant needs. Before making decisions, be sure to know your vegetative needs through their stages of growth, and also consider your own preferences in choosing your type of light. HID bulbs are lit from the combustion of the type of gas found within the bulb. 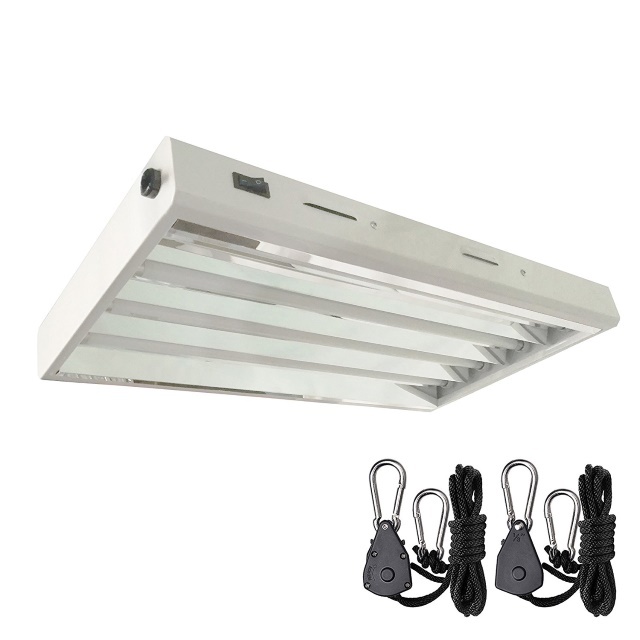 These require a specific type of hood set up and also a ballast to help regulate the electricity provided to the bulb to keep it from burning out. These types of lights can produce the entire spectral range depending on the type of light you choose. 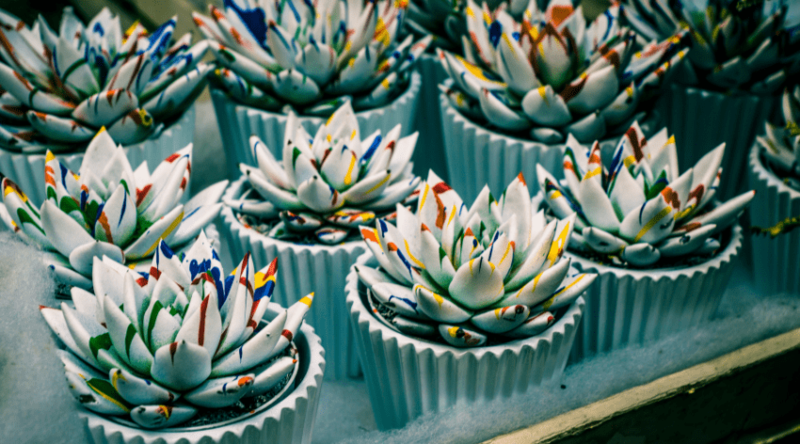 Fluorescent lighting is for more than just your workspaces and garages. Popular due to their long lifespan, these bulbs produce a more blue range of light and provide great support for early growth and maturity. LEDs are popular for their small size, cool usage, and ability to customize panels with to provide a more full spectrum for plants to utilize. LEDs are considered very affordable and can be found in many useful household items because of it. Similar to HID ceramic metal halide bulbs, this is a new technology that is considered highly efficient and very effective with cash crop production. Its wide range of spectral light can support any stage of growth. Even when working on a budget, know what your plants’ needs are before making your purchase. Remember, you want the best bang for your buck- not a gimmick product that won’t last you through a growing season. The more you grow, the more lighting you will need. This can begin to cut into finances quickly, so be sure to have an idea of what coverage you will need, and look closely for the footprint size offered by the light itself. Multiple, less expensive lights may be a solution compared to a larger, more expensive light – or vice versa. Although the premise behind which wavelengths are used during stages of growth stay fairly consistent, variances in plant species may dictate otherwise. 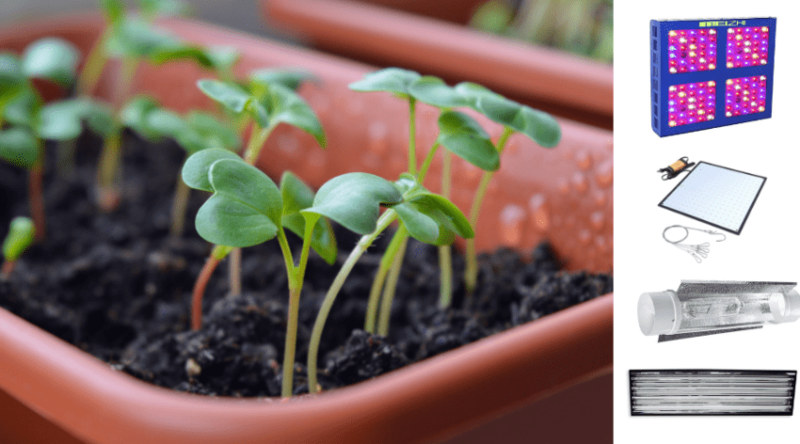 Be familiar with the plants you are looking to grow, and do some research before committing to certain species in order to ensure that you are providing exactly what you need for them. 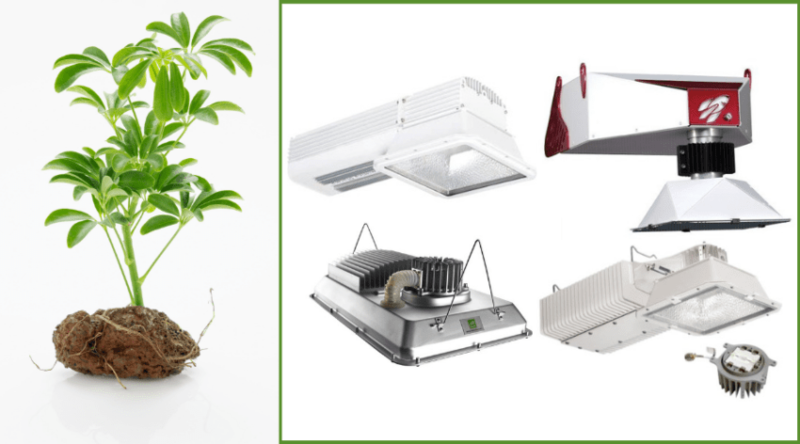 What stages of plant growth will you need light for? If you are trying to save money, you will want to make sure you are providing the specific lighting your plants need. If you only are supplementing lighting during certain stages of growth, then there is most likely no reason to purchase a full spectrum source. This rule applies to supporting the full growth cycle as well to avoid having to purchase multiple different bulbs when you may be able to use on source for the entire season. There are a variety of lights currently available on the market, but we’ve compiled five of the best based upon a multitude of grow light reviews. These range from kit systems to provide you more bang for your buck, some larger setups, as well as choices created for a single plant or two. It’s important to have good range of choices that fit within your budget depending on your needs, and to know what options are available. 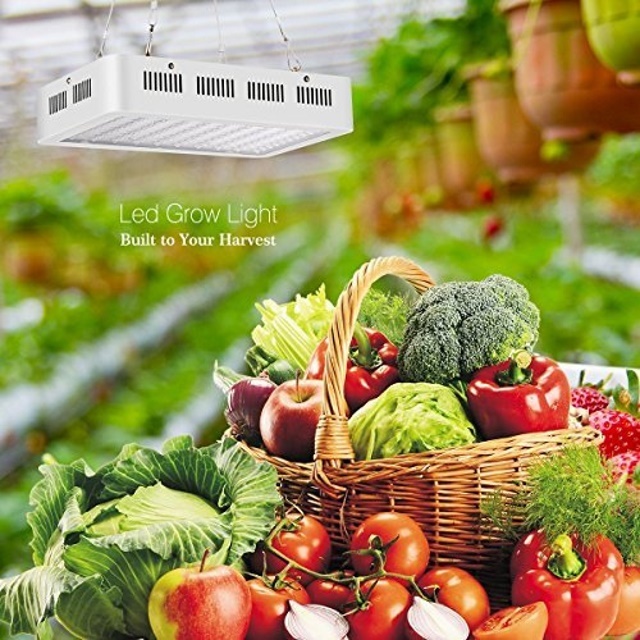 LED lights are a very popular grow light system because they are considered highly efficient overall. The panels these small bulbs are placed within have the ability to hold a series of lights that can be customized to provide the best full spectrum choices available for plant growth. They do not produce much heat, and also have a comparative low draw of energy, making them a good long term cost investment. Colofocus offers 600, 1000, and 1200 watt choices of these panels that hold double chipped, 5 watt LEDs for unparalleled brightness. These cover a dull spectrum range, and also includes UV and IR light to help with plant sterilization to kill off bacterias, as well as increase plant durability. Each panel also comes complete with hangers and plugs to keep you from having that added expense. This LED kit is an excellent deal for anyone getting started, or on a budget, and needs all stage plant support. It includes everything needed to use right out of the box: it is efficient overall concerning use, heat, and power use and has a long life. 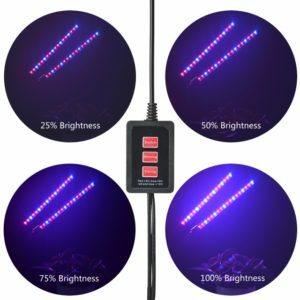 With a red to blue bulb ration of 8:1, this LED panel choice provides a full spectrum support for vegetative and bloom purposes. It also includes UV and IR for further plant health to ensure the crop you expect. This is a very compact design, and only measures 12×8 inches, but can cover up to 9 square feet of space- plus it is lightweight and easy to hang. As an LED set-up is is much more efficient concerning heat, but a dual fan system and built in heat sinks helps protect against overheating and keep it working at a lower temperature. It is easy to install and can run continuously up to 20 hours. And, like most LED panels, the bulns have an approximate 50,000 hour lifespan. The higher red to blue light ration suggests this does provide better coverage to plants in bloom and production, although it supports growth acceptable according to consumers. This is a great choice for smaller grows, tent grows, or for anyone getting started and needs to get comfortable with a dependable product. Fluorescent lights are popular due to how well they support early and mature growth and their overall cost-effectiveness. Cool burning and long lasting, these are a regular go-to for maintaining your plants through the season at just about any stage of growth. Although they won’t promote vigorous blooms, the blue spectrum provided by fluorescents do support healthy plants. What is specifically unique about the particular light is that the reflective hood also supports a variety of bulbs, and you can easily install a bulb that emits more orange and red than blue, or even mix and match bulbs to have a full spectrum coverage. 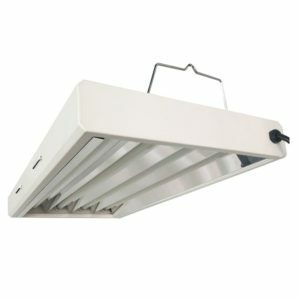 What is also nice is that you have a choice of hood sizes, all of which can be mounted both vertically or horizontally, or even daisy chained together. Plus a switch helps control the brightness of the bulb. This is an efficient choice for mid to large size grows. 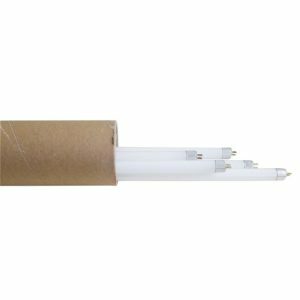 They are easy to mount, lightweight, and can be more customized than many other fluorescent lights to take advantage of wider range of light wavelengths. 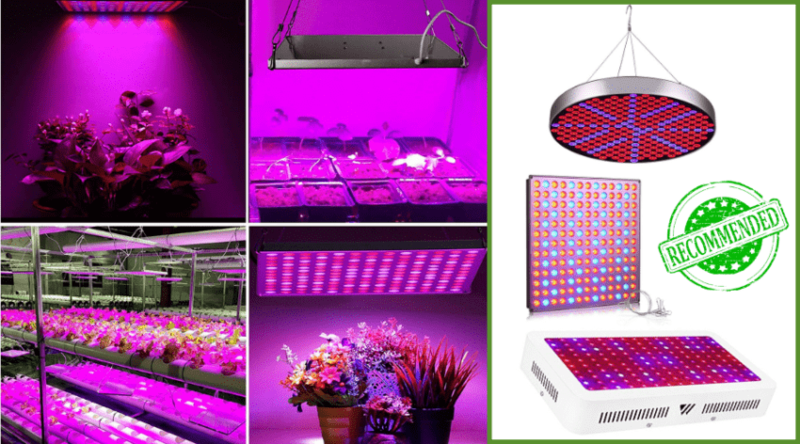 Cost of grow lights is often very closely related to the size of the system. This doesn’t mean you can’t get decent coverage and light support in a smaller, cheaper package. 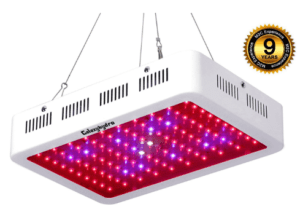 This Shengsite UFo style 50 watt grow light holds 250 LED bead style bulbs to provide support for both vegetative and bloom stages. At only 13 inches in diameter, this is the perfect compact system with a footprint up to 18 square feet, depending on placement and plant needs ( it also is available in an 18 watt version as well). 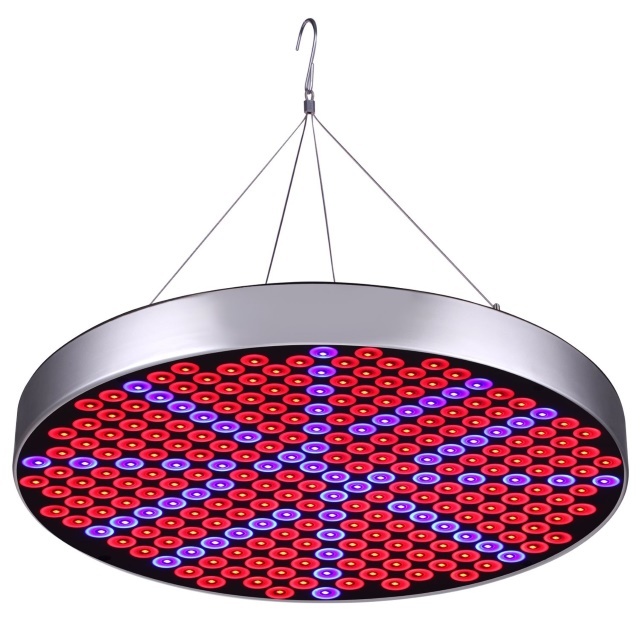 The red to blue ratio os 3:1, so it definitely provides a strong light for any stage of growth, and the overall design and weight makes it easy to mount and raise as needed while your plant grows. It also comes with everything you need to get started right out of the box. SImply mount, plug, and turn on! Excellent for tent grows, small spaces, or supplemental lighting, this can be used easily by hobbyists or more experienced growers. Considered powerful, it can be placed within 8 inches of early growth to ensure a more concentrated light. Grow lights can occasionally be a bit of an inconvenience since you have to mount them in some manner- and what if you want to move your plant location at some point in the future? Luckily there are some solutions to your more compact grows, such as these dual headed lamps that can clip to surfaces to provide light exactly where you need it. 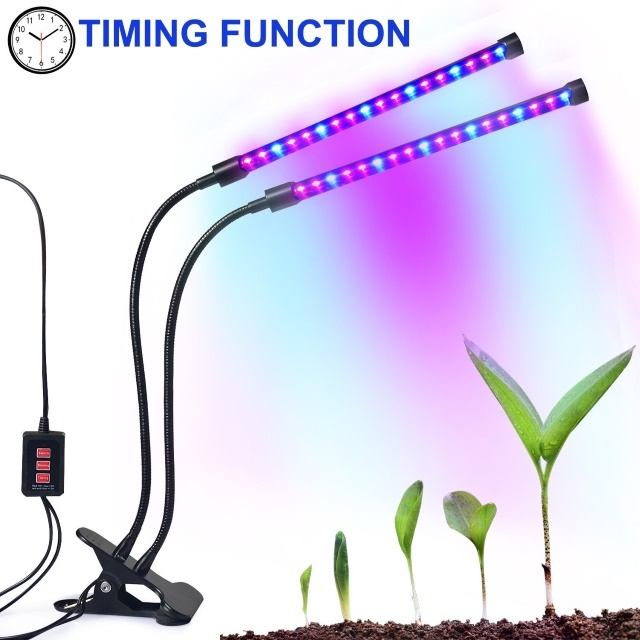 The flexible head of these lamps can be used to provide a full spectrum of light, with each lamp containing 18 grow light LED beads, at a red to blue ratio of 2:1. These also come with a timer and dimmer, making them even more convenient for your use, and allowing you to use them without worry of staying on a particular schedule. This is an amazing source of light for indoor plants or smaller produce grows, such as tomatoes, peppers, or even fruit tree support. Easy to use in any size space as it will clip to anything up to 2.5inches in width, this may be a serious gardener’s must have. 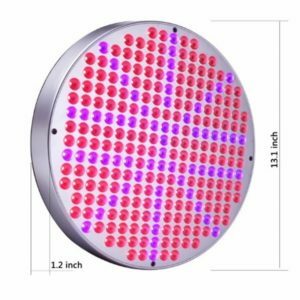 With all the many grow lights on the current market for offer, it is very difficult to weed out quality from knockoffs, especially when you are trying to stay within a budget. Luckily, there are quite a few decent cheap grow lights as seen in these reviews available for your consideration. Whether you need a larger set up, or something small and simple, you should be able to better determine what your exact needs are. 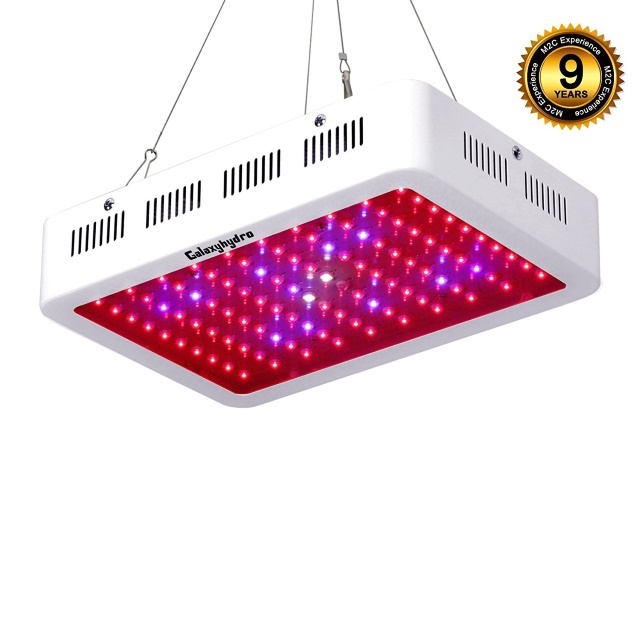 For compact spaces and convenient use, our favorite pick is the Shengsite UFO 50W LED Plant Grow Lights, although we are a fan of all we have showcased. Of course you should purchase according to your size needs and constraints, as well as particular plant needs. 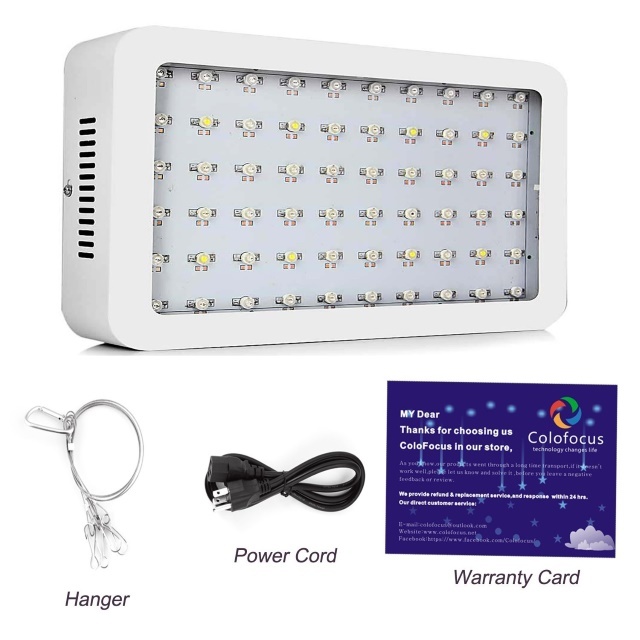 Be sure to look for full lighting kit systems that include everything to save you even more money. If you have any experience with (or questions about) any of the lights we’ve highlighted, please let us know your thoughts in the comments below, and, as always, please share!